An expressive vibrant red cupboard set in intense pink décor and an endless row of mirrors, ‘it’s all about ‘expressing yourself’. 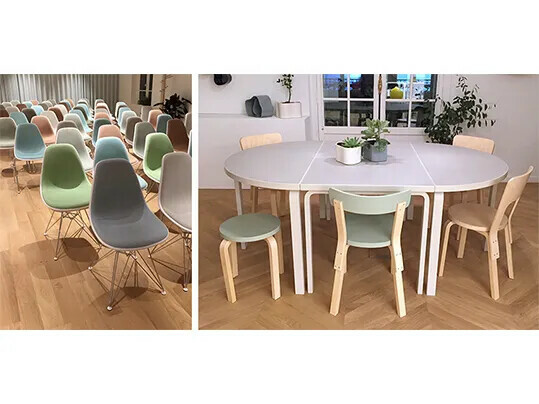 Inviting pastel coloured chairs to join the conversation in a beautiful and comfortable setting as ‘design influences the mindset and behaviour of the user”. Smooth and minimal furniture that looks and feels light, offering the experience of ‘an awesome sense of home’. And tiny houses with compact transversal design of high quality as a solution for the increasing scarcity of urban space ‘combining maximum efficiency and minimum space’. Nowadays when visiting a professional fair feels like entering a maze of stories. 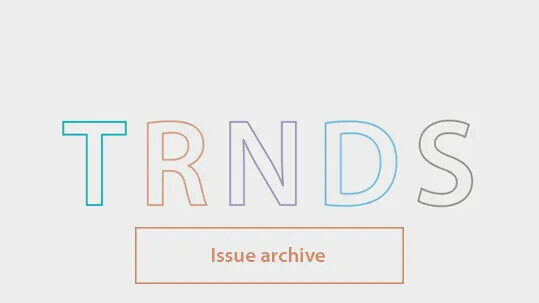 Boundless narratives that feed our imagination, revealing the philosophy of a brand and the virtues of the tangible product. Infinite reflections that spark new perspectives on future developments and that are making us realise more than ever that in the end it’s ‘only your fantasy that set’s the limits’. During the IMM Cologne a visit to the Design Post building is always a must. This building, next to the fair grounds, offers an exhibition space to over 35 internationally renowned furniture and design brands. One of them is the Danish brand Montana. The festive, contrasting colours used in their presentation clearly made a statement and felt like a celebration of colour. 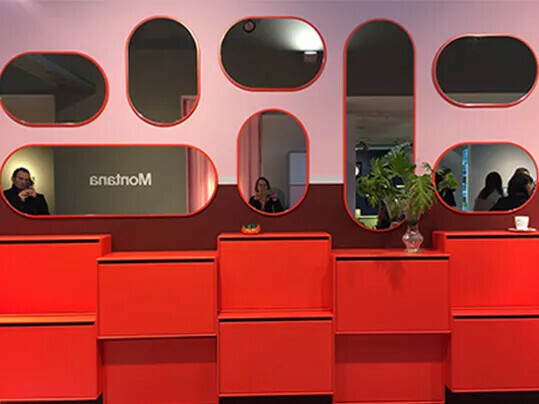 The bright red cupboard designed by Peter J Lassen against the backdrop of fresh pink convincingly underlined their credo 'Expressing yourself is what Montana is all about'. 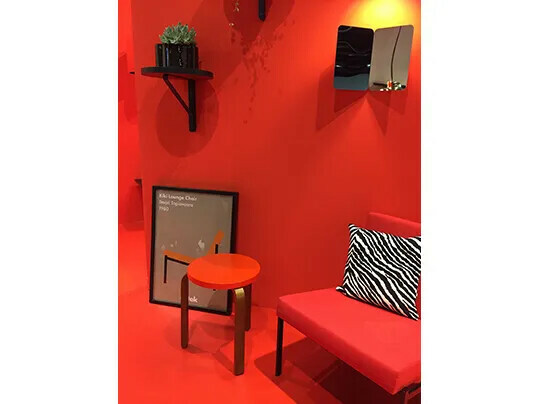 With a combination of classic and contemporary items the Artek booth at Imm Cologne demonstrated that even spaces of limited proportions could serve different needs like working and living. Combining maximum efficiency and minimum space Artek offers intelligent solutions for newly built micro apartments. 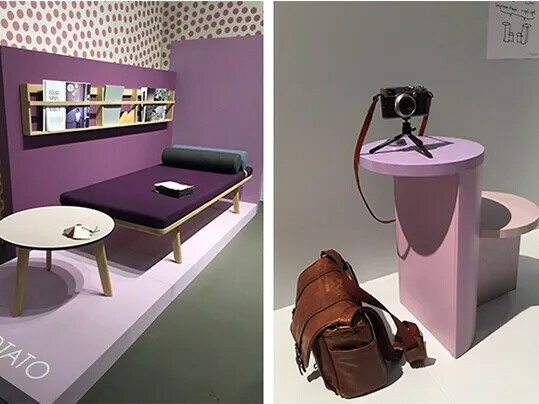 This year's exhibition of Danischdesignmakers, an international alliance of young designers, was inspired by the beauty of everyday routines, an indirect comment on the extravagance that, on many fronts, characterizes the design scene today. 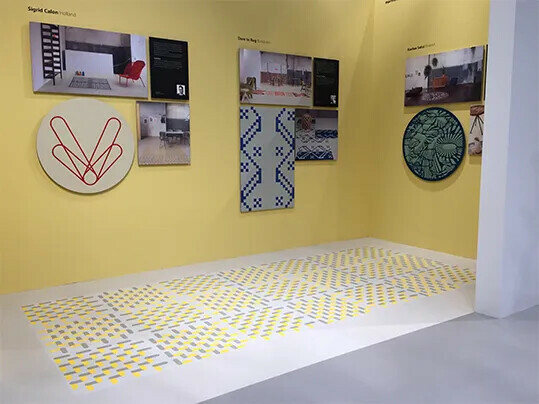 In the presentation "A tribute to everyday life" 22 designers gave new ideas, often simple twists to the things that surround us in everyday life, things that often do not make much visual noise but are characterised by functionality and their beauty. 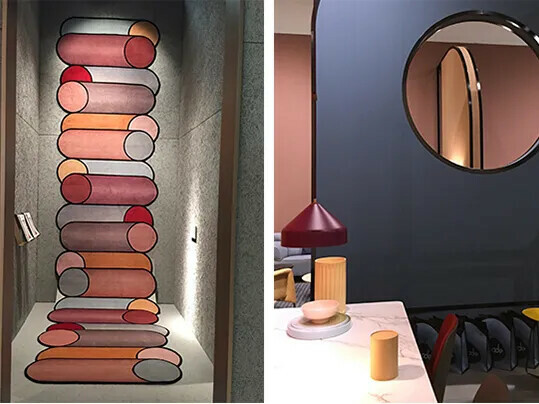 Rotatazione is a design by Patricia Urquiola commissioned by the Italian company cc-tapis. The colorful pattern is based on a playful repetition of overlapping cylindrical forms. The gradient pastel colors and chromatic contrasts on the surface of the cylinders are creating a strong three-dimensional effect. 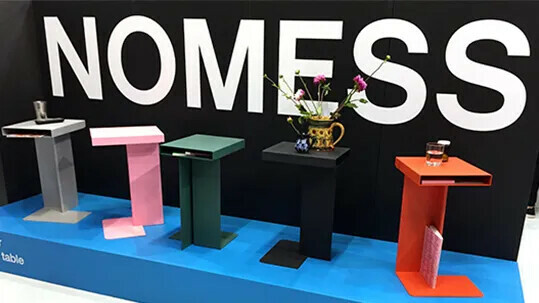 With an outspoken geometrical composition for the stand of the interior brand Pode the art directors of Pode, Roderick and Claire Vos, made a strong and convincing statement. This center table with a coral printed glass top and polished brass base was presented in the magical booth of Mambo Unlimited during at the M&O in Paris. 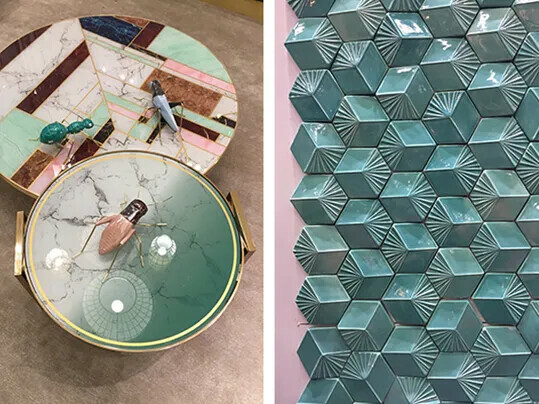 Mambo Unlimited is based in Lisbon; their products are carefully made and radiate a high-end craftsmanship combined with an edgy creativity. 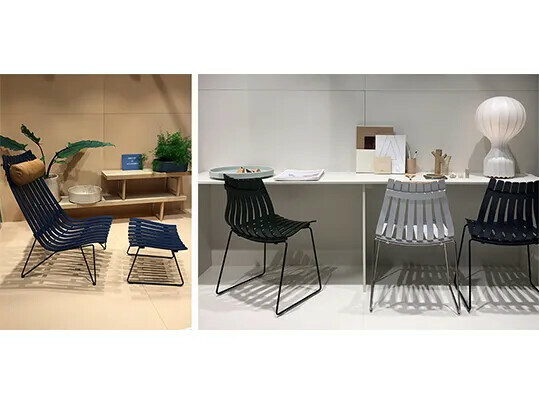 During the Paris trade fair Maison&Objet, Vitra was presenting the Accessories Collection in its newly opened Paris showroom, located in the direct vicinity of the Opéra. In the comfortable atmosphere of these carefully renovated spaces, visitors could discover novel designs. Interface by Alfredo Häberli for Offecct is a furniture with several possibilities. 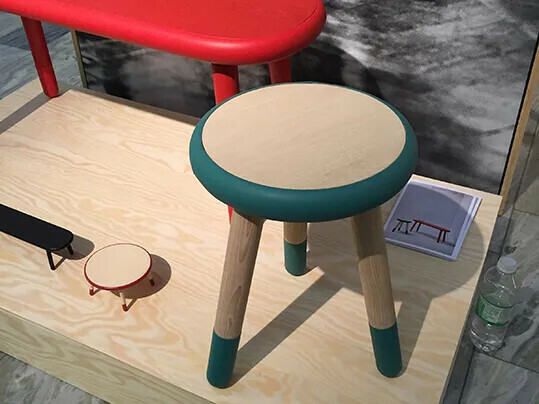 You can use it as a place for socializing, a table or a work place or just a stool. The opportunities are many and it is only your fantasy that sets the limit. In the design Post building this beautiful cobalt blue daybed could be admired. Produced by the Italian furniture brand Arper. 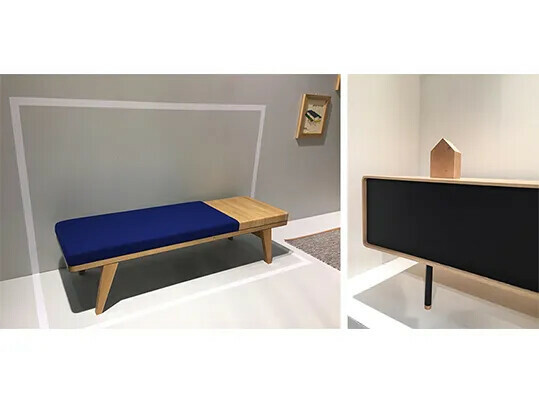 Gazzda, a Bosnian furniture brand, creates beautiful minimalistic and aesthetically pleasing furniture designs, that look and feel light. They are a geniun fan of the Forbo Furniture linoleum and apply this on a large scale on their products. In 2001 Fiordfiesta reintroduced the timeless 'Scandia' range of chairs, designed by Hans Brattrud in the 1950's. The chairs, that had been available through vintage dealers only since the mid 70's, were slightly trimmed by the designer and put into production between 2001 and 2010. Timeless furniture also referred to as the Scandinavian classic. 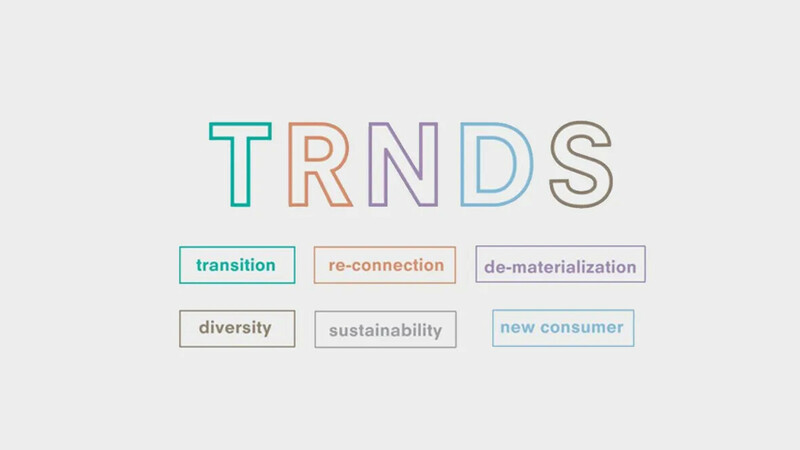 During the Stockholm furniture fair three new colors were introduced.